At the Ladd library, we continuously evaluate the available platforms for delivering ebook content. Fortunately for mathematics and the natural sciences, one of the best platforms also provides some of the best content. 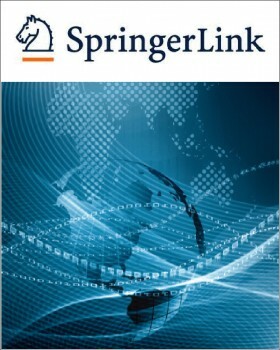 The SpringerLink platform from Springer publishing provides convenient access to more than 20,000 high quality books. The platform has many nice features, but in the spirit of “Show and Tell”, we’ve provided some examples of the available content for you to explore first. This is followed by a description of features provided by this platform. A huge collection of journal content also available, through the same platform. However, these two types of content are purchased separately and here we highlight the books. This list below is long and it’s unlikely that you’ll be very interested in everything here. The hope was to provide enough choices for you to pick one and investigate how SpringerLink serves up content that is of interest to you. Alternatively, you can just navigate to the SpringerLink site and perform your own search. Full access to approximately 28,000 books from Springer publishing. New book titles are added to the system monthly. 4991 books published in 2012 and 2887 books (and counting) published in 2013 are available. Books are accessed by chapter. Each chapter is provided electronically both as HTML and downloadable, DRM-free PDFs. Every book chapter has a stable unique URL. This allows you to direct students or colleagues to specific content easily within a book. SpringerLink ebooks also come with the MyCopy softcover edition option. Selecting the MyCopy option allows you to purchase a black and white copy of almost any book we own for $24.95 (including shipping). Our recent changes in proxy access, makes book access simple to Bates community members from any internet accessible computer. If you can access you Bates email, then you can access the SpringerLink content. SpringerLink book content is searchable from both the Bates catalog or from the SpringerLink site.